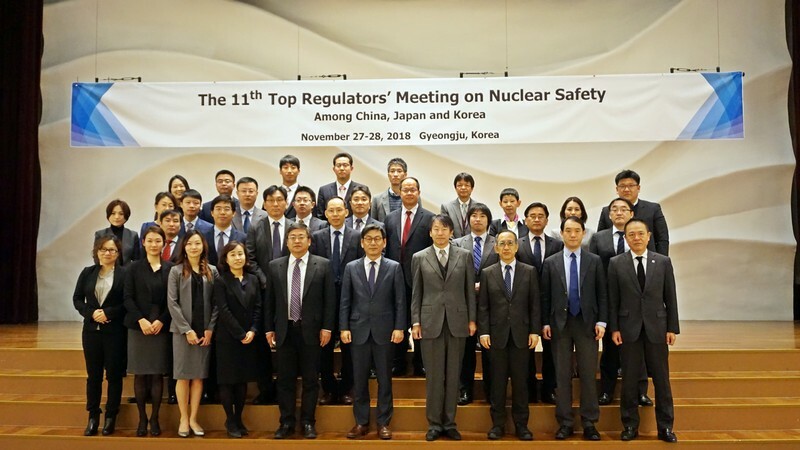 The 11th Top Regulators Meeting (TRM) on Nuclear Safety was held on 27 November 2018 in Gyeongju, ROK. 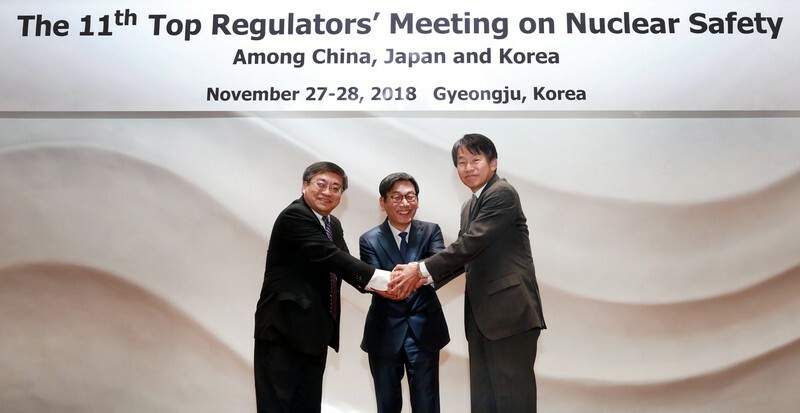 The meeting was chaired by Mr. UHM Jaesik, Executive Commissioner and Secretary General of Nuclear Safety and Security Commission (NSSC) of the ROK, with the participation of Mr. ZHAO Yongming, Deputy Director General of Department of Nuclear Radiation Safety Regulation, National Nuclear Safety Administration/Ministry of Ecology and Environment (NNSA/MEE) of China, and of Mr. YAMANAKA Shinsuke, Commissioner of the Nuclear Regulation Authority of Japan. 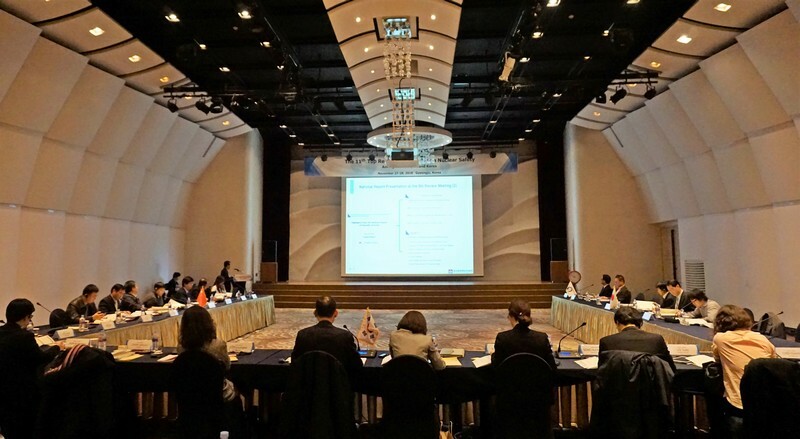 Mr. YAMAMOTO Yasushi, Deputy Secretary-General of the Trilateral Cooperation Secretariat (TCS) also attended the meeting as an observer. The three sides presented the updates of nuclear safety activities in each country, and reviewed the outcomes of the 5th Joint Emergency Drill (JED), as well as the three working groups established under the TRM framework: WGHRD (Working Group on Human Resources Development), WGOIS (Working Group on Online Information Sharing), and WGEPR (Working Group on Emergency Preparedness and Response). The three sides also discussed the 10 year achievements and challenges of the TRM. The next TRM and TRM+ will be held in China in 2019.